RESTON, VA—Confirming the statistic had reached its lowest level since annual measurements began in 1973, a study released Friday by the National Association for Music Education found that unplanned pregnancies continued their decades-long decline in Bruce Springsteen lyrics. 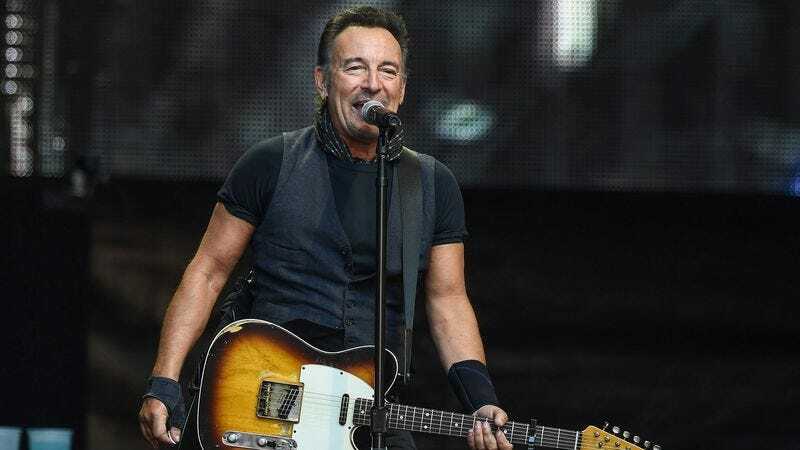 “We discovered that after a steady rise throughout the 1970s and a peak in 1980, there has been a sharp decline in the number of young Americans who’ve had their lives turned upside down by an unwanted pregnancy in Bruce Springsteen songs,” said study director Carl Larson, who noted that the cause of the long-term trend remains a mystery, as the living conditions and economic opportunities in the gritty, blue-collar cities of the songwriter’s work have not markedly improved over the same span. “While we have seen an encouraging downturn in teen motherhood since the ’80s, not all indicators from Springsteen’s catalog are positive. We also found that over a 15-year, six-album span, there has been an alarming threefold jump in gun violence verses.” Larson warned that unplanned pregnancies could rise at any moment should a remastered version of The River be released.